The world of alternative fermentation is fascinating, incredible and unpredictable. It is slow magic, unconstrained by convention. For years we have wanted to do sour and wild beers justice – but to do so requires a dedicated facility, an incredible team of people, time and patience. For everyone who has displayed that final quality, this is the week in which you will get your reward. The full range of BrewDog OverWorks beers launches on Thursday. It is the fruition of one of the most exciting adventures we have yet taken. OverWorks is here. Richard Kilcullen and his team of fermentationalists have been working miracles for months, harnessing wild yeasts and bacteria and honing the sour beers that resulted, over and over. A six-month setback caused by faulty bottles had meant the only OverWorks beers to arrive in the wild to date have been kegs in our bars. But all of that changes this week. 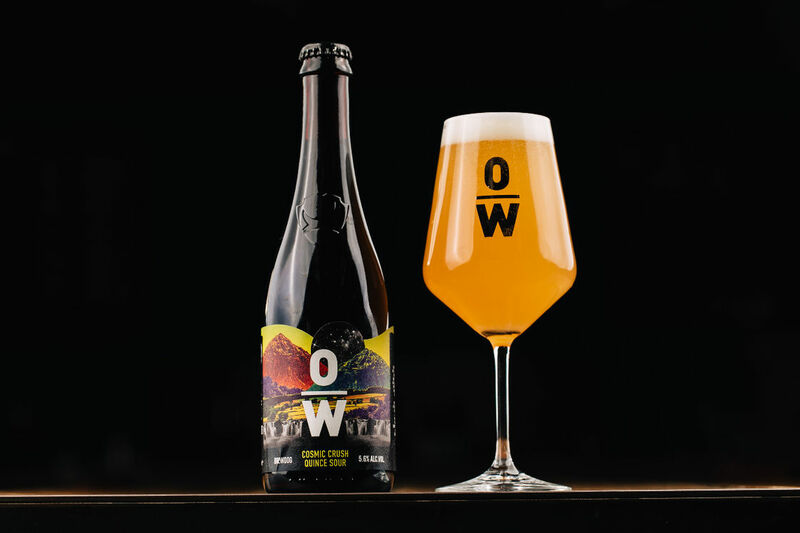 This Thursday, February 7th, online and in our bars, we are releasing ten different sour and wild beers in bottle from the BrewDog OverWorks. As ever, our Equity Punks will be able to buy the bottled beers before anyone else – check your email and the forum – and members of the OverWorks Overlords Club, stand by your inboxes too! Leading the line for the BrewDog OverWorks is Punk x Funk; a meeting of minds and a clash of empires. This 5.5% ABV new world, hop-forward IPA embraces old-school methodology having been inoculated with Brettanomyces and then aged in a Sangiovese red wine foeders for a month. Nothing we have ever released comes close. You can also try Punk x Funk on draft in our UK BrewDog Bars from 6pm on Thursday! Also releasing in bottle for the first time this week – Cosmic Crush. Your new go-to range of sours is accessible, balanced and a ticket to our world of alternative brewing. Set to become the mainstay of our OverWorks programme, we are releasing a quartet of these sours this week – stand by for Cosmic Crush Cherry, Cosmic Crush Tropical, Cosmic Crush Quince and Cosmic Crush Raspberry. All of these beers are tasting incredible, and we can’t wait to share them with you this week in what will be the culmination of a long journey, unhurried by time. The BrewDog OverWorks is a place where historical methods and tradition intersect with modern craft brewing; and from 6pm this Thursday, 7th February, good things will come to those of you who have waited for so long.